The Yawanawá people live in the Indigenous Land of Rio Gregório (Gregory River), in the Brazilian state of Acre, Tarauacá Municipality. Around 900 Yawanawá people live in eight communities along the banks of the Gregory River. Contact with Western society 200 years ago completely altered their way of life and widespread deforestation has driven the local environment to its breaking point, also bringing new types of waste. This is threatening their wellbeing, affecting livelihoods and causing health problems. In February 2017 we started Aldeia Lixo Zero at Mutum village. We learned more about how they manage their waste. One of the most worrying things we found was the amount of used batteries scattered in the forest and river. Why so many? The Yawanawá rely on hunting for subsistence, and each hunter uses six large batteries every night in their torches. Villagers are generally unaware of how toxic batteries are to both humans and nature. They can cause soil and water pollution and endanger wildlife. When thrown into the rivers they can bio-accumulate in fish, which reduces their numbers and makes them unfit for human consumption. Mutum village is the pilot project of the community zero waste initiative, and we plan to integrate what we learn into all other Yawanawá villages. Since villages are located around eight hours by boat from São Vicente village – where the nearest waste disposal facilities are – transportation is key. After the first visit, we launched a crowdfunding project at Indiegogo. Unfortunately, we were not able to raise all the funds needed for the actions required to help Mutum become a zero waste village. The funds raised, however, allowed us to implement further steps so we could move forward into practical implementation. In July 2017, we went to Mutum again for our second visit. We worked with families and children living in Mutum to increase awareness about the dangers of disposing of waste in the forest. We also put up zero waste signs throughout Mutum to inform visitors, realised our first clean up and distributed waste containers and cleaning materials for families. A short video of this visit is available here. In November 2017 we had our third visit in which we built local skills in how to reduce, reuse and recycle specific materials and how to compost organic waste. We invested the money raised through the crowdfunding to acquire the infrastructure materials to construct the solid waste station in the village. 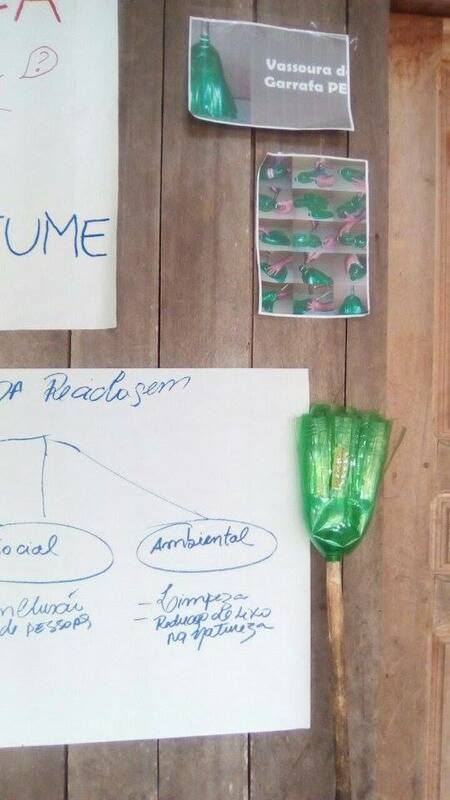 Thanks to donations from Kambo Connect we came back to Mutum in April 2018 to solidify zero waste practices, provide knowledge about women and children waste, teach children and adults about how to reuse materials to build musical instruments and cleaning brooms and finalise the construction of Mutum's solid waste station. We also started capacity building actions in another tree villages: Escondido, Yawarani and Sete Estrelas. Photos of this visit are available here. We are now creating a short video with the outcomes of the project so far. 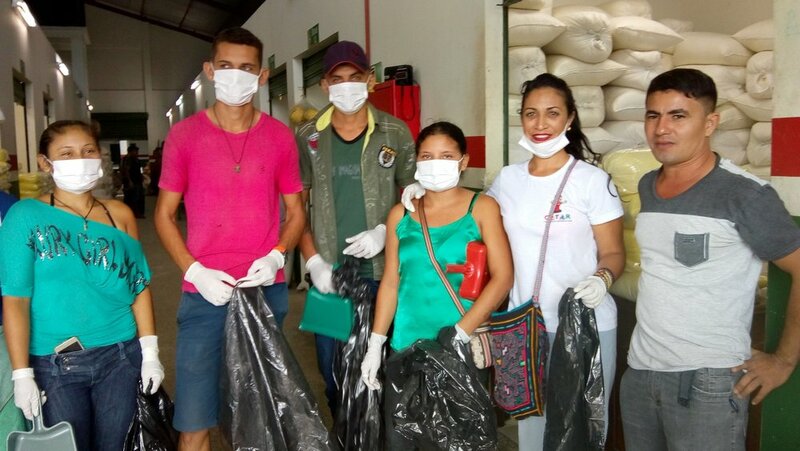 Aldeia Lixo Zero team is voluntarily working together with the State of Acre Waste Management Cooperative (CATAR) and state agents of Tarauacá and Cruzeiro do Sul municipalities and the residents of São Vicente to better organize the disposal and recycling of solid waste. 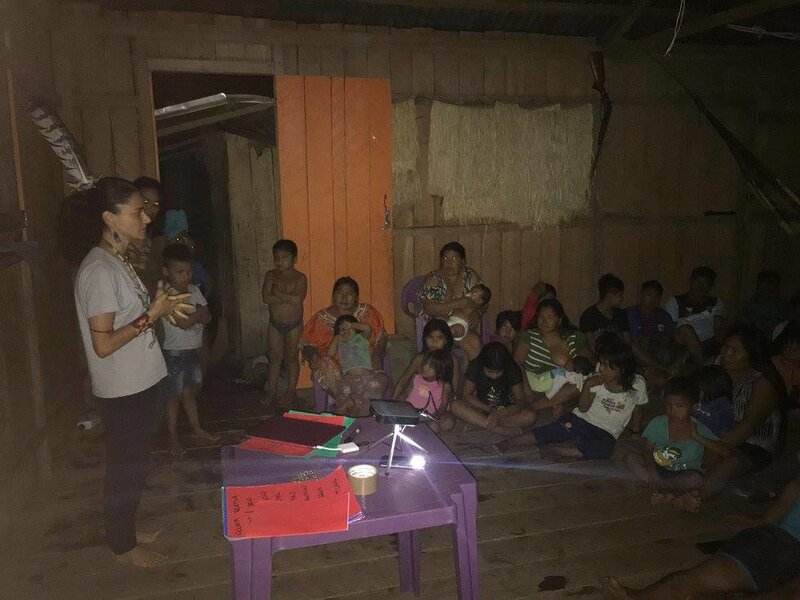 In June 2018 - in partnership with CATAR - we created SELETAR, the waste collectors association for the Yawanawá tribe.